"Is anyone else having this issue? My iPhone XS won't charge when I plug in the lightning USB charger into my computer. I changed the setting to allow access for USB accessories when phone is locked and I restored my phone to factory settings as well and still not charging." Well, if your iPhone XS not charging even after repeated attempts, what options do you have to combat this situation? Obviously having a new iPhone of the latest model and then facing such problems would make you upset. But, worry not! We are here to help you out and resolve this annoying issue to bring your iPhone back to life. The reasons might be anything like you used an unauthorized adapter, or USB cable, a faulty port, dust in the charging port on your iPhone, software glitch or any physical damage might have forced the iPhone XS/XS Max to stop charging. Let's not wait any longer and understand various ways to resolve the iPhone XS not charging problem. iPhone XS is not charging can be risky at times, if the above methods failed to give any result. In such a troublesome state the only tool that can fix your iPhone XS/XS Max is Tenorshare ReiBoot . Its 'Repair Operating System' feature is capable of resolving a wide range of iOS issues including more than 50 iOS screen stuck issues. There is no fear data loss as this tool doesn't affect your iPhone's underlying data while fixing the iOS. Here is the step by step guide for Tenorshare ReiBoot to iPhone XS is not charging problem together with other iOS issues as well. Step 1:	Get the software downloaded on your computer from the official website of Tenorshare ReiBoot. After downloading and installing the program run it and get your iPhone connected to the computer. Step 2:	As soon as the program detects your iPhone XS/XS Max, click on the 'Repair Operating System (Fix All iOS Stuck)' option. Hit the 'Start Repair' button afterwards. Step 3:	You need to hit the 'Download' button on the following screen and allow some time for downloading the iOS firmware package. Step 4: Lastly, tap on 'Start Repair' button on the next window as well. After sometimes the iOS gets repaired and your iPhone XS/XS Max will be charging properly. If your iPhone XS is not charging, try tapping the screen to initiate charging. 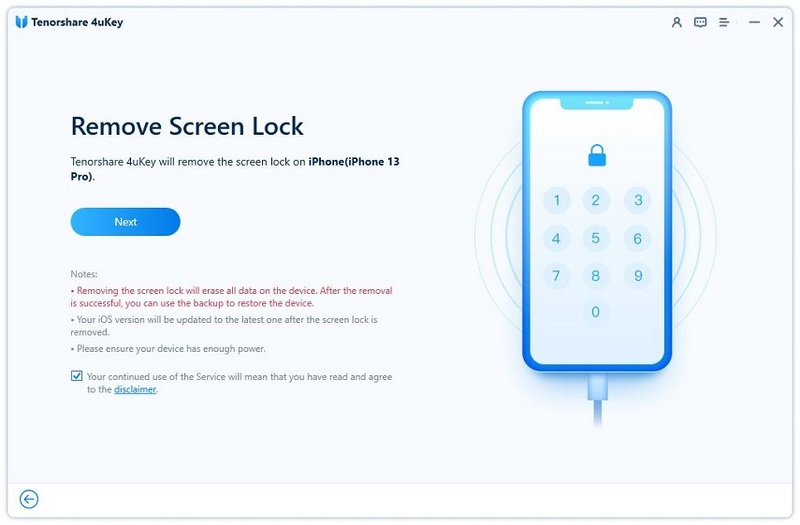 It might be your iPhone settings, that is preventing the iPhone from getting charged when the device screen is locked. With iOS 12.1 beta update, most of the iOS users are experiencing issues like this. When the device is awake it charges but the moment it is locked or in sleep mode the charging gets stopped. All you can do is touch to wake up the screen and ensure that it is being charged properly. 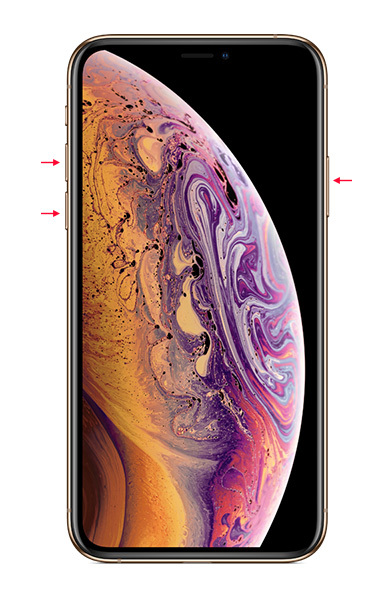 Browse to iPhone XS/XS Max 'Settings' > 'Face ID/Touch ID & Passcode' > 'USB Accessories' > toggle off the glowing green slider. For people using assistive devices on your iPhone or other iOS devices, it is a great feature to automatically connect with USB devices for the very first time they are connected. In case that doesn't work, you can disable the 'USB Restricted Mode' by browsing to the 'Settings' app. The other alternative for fixing iPhone XS is not charging issue is updating the iOS to a latest version. Here is how to update iOS. 1. Connect to a strong Wi-Fi connection and tap 'Settings' > 'General' > 'Software Update' > 'Download and Install'. 2. After downloading the iOS file click on 'Install' and key in the passcode if prompted. 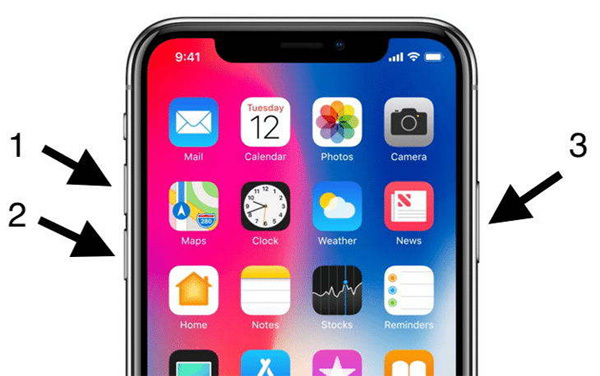 We are positive that ReiBoot will solve the issue, but if there is any physical or manufacturing glitch with your iPhone, then the iPhone XS is not charging problem might sustain. Do not delay any further to contact or visit the nearest Apple Store. They would verify if anything is wrong with the device and advise you accordingly. From the above article, we conclude that for fixing iPhone XS is not charging issue without any data loss, there is only one free way, i.e. Tenorshare ReiBoot. It fixes more than 50 iOS stuck issues as well as put and get your iPhone into 'Recovery Mode' in a single click. You don't have to wait long to get the iOS repaired and have your iPhone XS/XS Max back in shape.